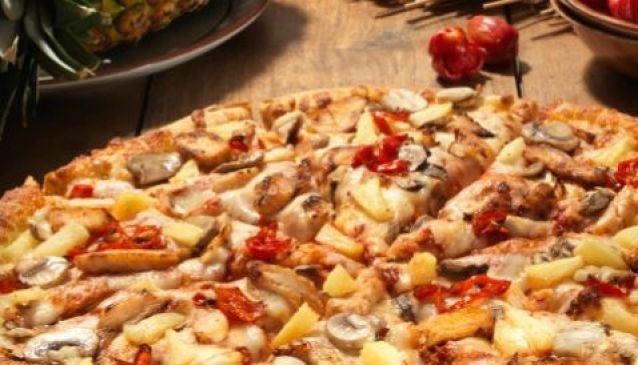 Domino's Pizza is known globally and is available in Lagos, Nigeria. Dominos Pizza is available on the Lagos Island at Victoria Island & Lekki, as well as on the Mainland at Ikeja and recently they opened in Ibadan, Oyo State. Dominos has a wide range of flavors and also caters for vegetarians too. You can get together with friends and family and visit any of the two outlets and have yourself a pizza treat. You can also get some Coldstone ice cream ordered to go with your food. They deliver within the Island and Lekki. The atmosphere is a lively one and you can sit outside and network with other people, families and couples as you wait your order (which doesn't take long).